If you like the way your tile countertops look, try taking things to the next level and extend that look to the walls. A matching tile countertop and backsplash pattern is great for creating a more unified look for your kitchen area. Another bold way to set the identity of your kitchen is to take the tiles all the way to the top. Instead of having a backsplash-level tile pattern, consider adding tiles all the way to the edge of the ceiling for your next kitchen remodeling project. If you think having an entire wall of tiles is a bit too much, you can tone it down by extending the backsplash up by several inches instead. Mosaic tiles allow you to create interesting patterns that will give your kitchen a more dynamic look. You can choose to have regular patterns, but consider something special like Moroccan patterns or even your own artistic touches to keep your kitchen from looking generic. Contrast is essential both for interior and exterior remodeling because it helps define the “texture” of the room. A kitchen without contrast looks flat and boring, whereas adding a tile backsplash that contrasts well with the countertops and appliances help add more dimension to the area. Get a wide variety of kitchen tile options from the best in the area. 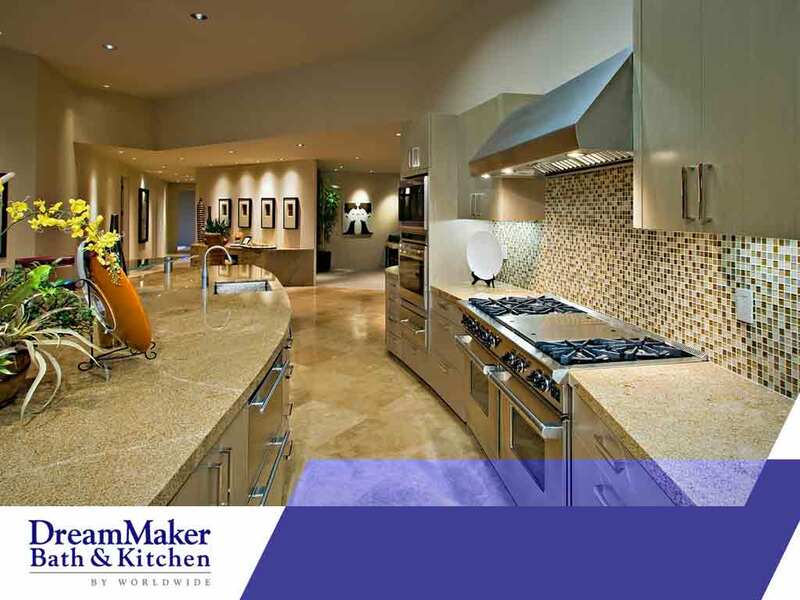 DreamMaker Bath and Kitchen of Greater Grand Rapids is a faith-based home remodeling company. We seek excellence through integrity and client-centric customer service. You can call us at (616) 632-2284 or fill out our online form to request a free quote. We serve clients around Ada, MI.